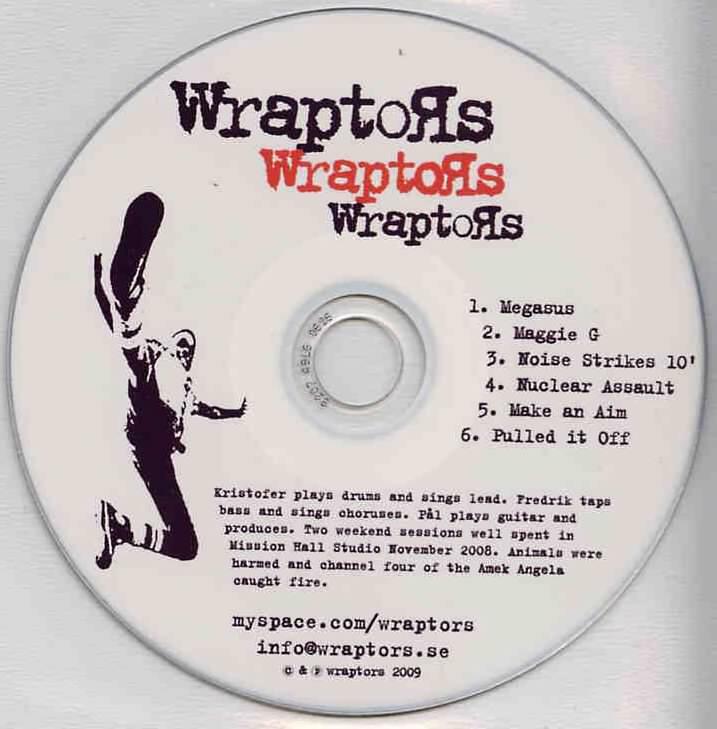 Wraptors come from southern Sweden and are a power trio. This demo is 6 tracks and last 24 minutes and features several different styles of music. Megasus starts things off with a melodic rock track with a lot of different time changes and bluesy feel to the guitar solo. The drummer sings in this band, something you don’t see that often! Maggie G is a sort of dissonant rock track, with the guitar playing against the bass in a unique way. Strange and unique song. Next track, Noise Strikes 10, is a pretty plain melodic rock number. Nuclear Assault features a heavier bluesier guitar and bass and a complex structure. Strange lyrics on this one as well. Pulled it Off begins with some harmonics on the bass and some nice melodic guitar lines. This track is one of the more rocking ones on the demo. I have to say these guys have a pretty unique sound and some of their tracks remind me of the US band, Cheap Trick! It has been a long time since I compared someone to Cheap Trick!